To become a successful illustrator, you need to have the right mindset and commitment. If you believe you have the dedication needed to start a career as an adobe illustrator expert, then start now. However, you would need to know a few things. Passion for illustration and artwork can be molded into a successful career path. However, every passionate artist needs to know that being an illustrator is not solely limited to have the potential to draw great things instead it revolves around your behavior, dedication and your ability to promote your work. To have a career as an illustrator means that you would have to become a part of numerous industries. At times, you might have to work with publishing mediums or you could collaborate with fashion illustrators or designers and even with advertising agency. In the publishing medium, illustrators tend to work alongside authors and editors to design illustrations or cover pages. As for advertising, illustration design has become an integral part of shaping branding campaigns and social media postings. The aforementioned opportunities do not completely define the scope of an illustrator’s career, as it is pretty vast and significant. However, illustrators, especially adobe illustrator experts, need to start at some point but once they do, they need to have the right dedication and perseverance for it. Before you set out to have a career in illustration, you have to figure out your competencies and potential. If you are looking to become an illustrator then it is also essential to start with a digital program or tool. 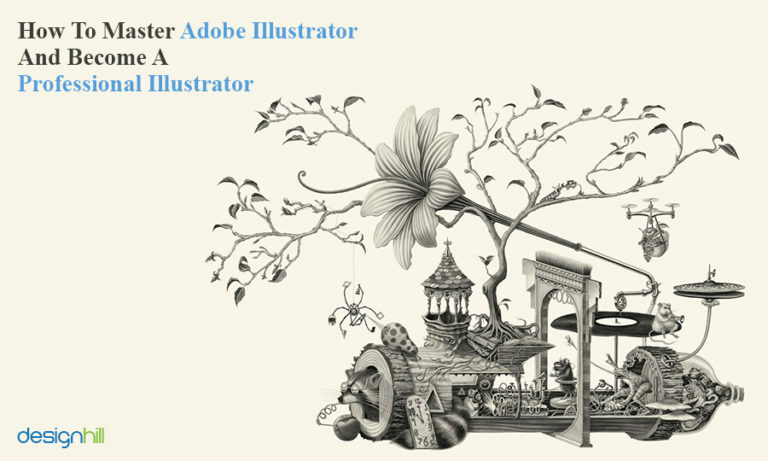 However, before you begin with your journey as a professional illustrator, or particularly, an adobe illustrator expert, here is what will help you in having a fruitful career as an illustrator. Looking For An Illustration Design? If you intend to turn illustration into a lucrative profession then you must have heard about having a specific style. New illustrators tend to be submerged in this notion as having one or more styles does matter but it never happens overnight. You simply have to practice and work on diverse projects until you find a style of your own. Since slow and steady wins the race, you need to be vigilant to observe your artwork and analyze what you can do to emphasize on what you do best. You may have to work on video animation at certain phase of your professional life. You may take it as your forte. However, you got to train yourself and hone your skills. Copying someone else’s idea is never a good indication in the realm of illustration. Your expertise as a professional illustrator would only be highlighted once you have possessed the ability to come up with ideas that befit the right artwork. If the idea is not unique, it will be visible easily and that would tarnish your credibility in the industry. Make sure to come up with original ideas and brainstorm for unique concepts constantly. When you are working to become an adobe illustrator expert, your goal is certainly to stand among the best or become even better than your associates. You might get inspiration from the work of professional illustrators but the factor of jealousy still remains. This factor acts as a roadblock in your career path and if that is the case then you need to work on getting over it. You tend to become confused about your goals and begin to doubt your abilities so before anything else, know yourself, your strengths and your weaknesses. While you might have a significant style of your own, you would need to adapt to market trends and what sells in the industry at some point. You need to pay more heed to what the clients are asking for and adapt your work accordingly. Since the input of the client matters, you would need to balance client preferences, while not ruining the quality of your illustration work. Oftentimes you would notice things around you becoming stagnant but you should not fret. At such a time, you need to show persistency and not falter in your profession. Work to improve your portfolio and take on challenging projects to expand your expertise in various spectrums of illustration and graphic design. Look for professional feedback and allow experts to review your work to hone your skills further. A vector-based drawing tool, Adobe Illustrator has become the utmost choice of countless professional digital artists out there. The reason for Illustrator’s popularity is its ability to scale images without ruining the quality. It is simply a great tool for digital vector art that includes both illustration and graphic design. Adobe Illustrator is not all about vector art and shapes. Using the Brushes panel, you can create your illustration with ease. The brush library of Illustrator is extensive and consists of different types of add-ons and brushes. You can use these to add quick paint and line strokes to the canvas. If you want to edit the brush itself, you simply have to double tap your selected brushes and make changes to it. The changes you will save will be on your canvas. 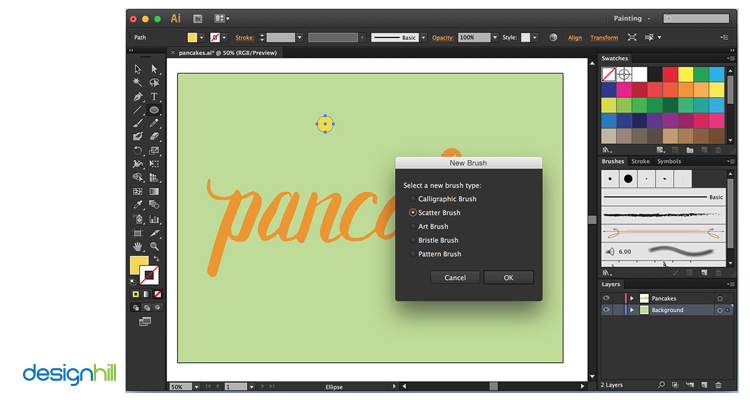 Another great feature of Illustrator is the option to customize your brush size and types according to your preference. Are you looking to design a typography logo design or a children illustration? In that case, Adobe Illustrator has numerous features that simplify the notion of digital designing. 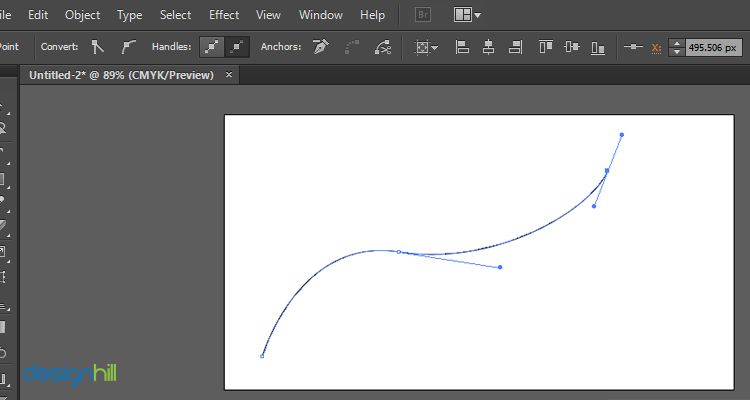 Using the Bezier tool, you can create points and curves to design almost anything. 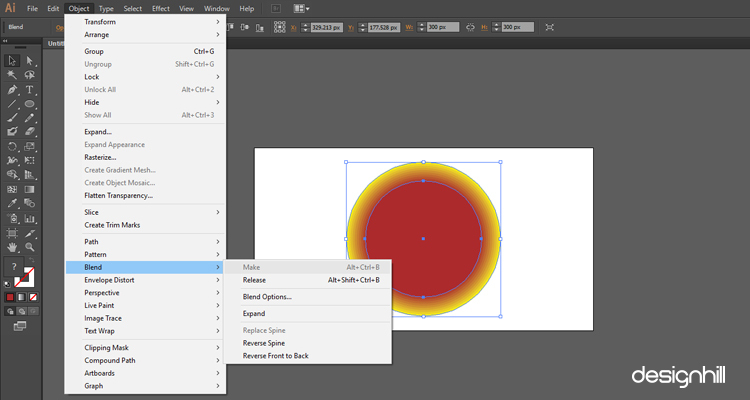 Since this tool holds great prominence in knowing the basics of Adobe Illustrator, it is better to be familiar and comfortable with it. If you have never worked on a similar tool before, it would be arduous at first but with practice, you will surely get a grip on it. The points made by the Bezier tool exist to have control over the curves of multiple shapes. Once you understand how the control points work, you will be able to have better command over the predefined tools and shortcuts. Drawing using the same color palette can become boring over time. Do you intend to add more appeal to your illustration? Then you certainly have to play around with unique and alluring colors. 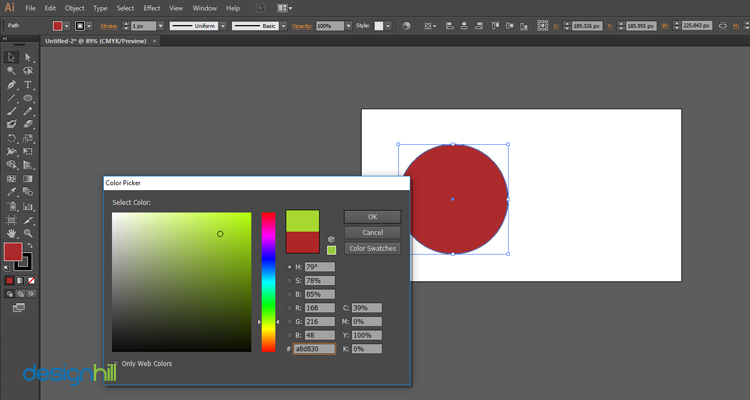 To choose colors that fit well together, Illustrator has a built-in tool in the name of Color CC. Color CC can be used to select those colors that would look good when used together. You can pick and customize colors of your choice from the color wheel and freely add them to your illustration. How To Use Illustrator For Web Design Project? Since gradients have become a core part of the latest graphic design trends, the Blend tool can make this task simpler for you. 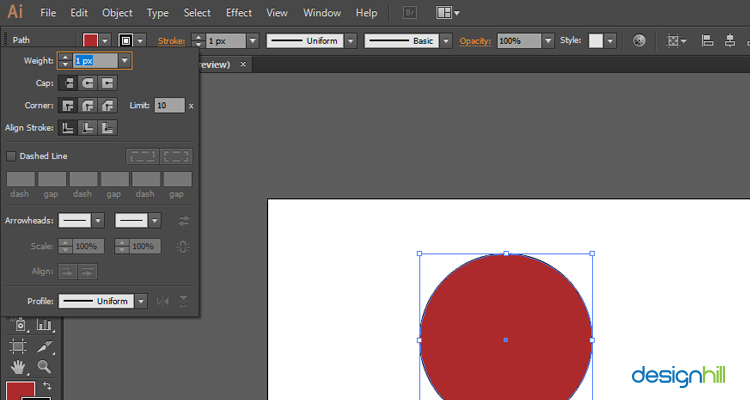 While there are separate Illustrator tools for gradients, you can use the Blend tool as well. All you have to do is commence with creating two shapes, each having a different color. After that, you have to pick the Blend tool and then select the two shapes. It will blend the two colors together and in turn, a gradient would appear on the canvas. The Pen or the Shape tools add predefined strokes to your line art. The stroke weight is defined automatically but you can make changes to it from the Strokes panel. The option to fill a certain shape with color can be chosen once you have finished connecting the points of your line art. Do you want to add more definition and distinctiveness to your illustration? You can simply make edits in the Strokes panel and adjust the weight and type of the strokes. This practice helps you in enhancing the visual appeal of the shapes you have drawn. Keep practising. The concept of practice is a never-ending endeavor. You might have complete confidence in your skills and expertise as an illustrator. However, due to the ever-changing design trends, it is essential to never stop practising and learning. The more you practice with Illustrator, the more easily you would be able to adapt to other types of design tools and software programs. Are you still a beginner at digital illustration and you wish to hone your skills? Then you should rely on the previously mentioned tips while starting out in this field. With time, you will see the difference and with your new skills, you will certainly make an impactful difference as well.